The tundra is an intimidating place for wild creatures. It is the coldest of all earth's habitats. The tundra has short growing seasons, little precipitation and poor soil nutrients. Dead organic material is a key source of nutrients. Omnivores are animals that can eat other animals or plants. Typically, omnivores can't digest all the nutrients in plants, except for a plant's fruit. Omnivores of the tundra must be creative in finding food, since the harsh climate greatly reduces the variety and number of available sources. A powerful animal, the grizzly bear has little to fear from other predators in its territory. Grizzlies can be found on the Alaskan and northwestern Canadian tundra, and are a subspecies of the brown bear. 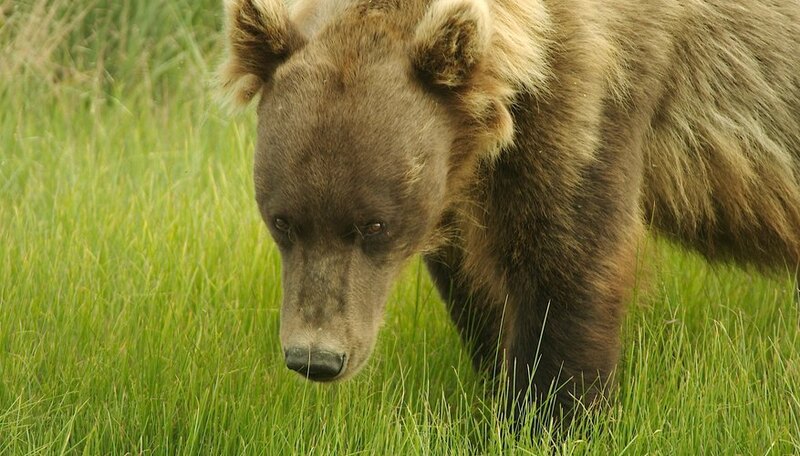 The tundra grizzly is typically creamy yellow on the back with a brownish chest and limbs. They can weigh up to 700 pounds. Many tundra grizzlies eat mostly plants. They also eat rodents and insects. Grizzlies don't usually hunt larger prey. More often they eat abandoned kills of other predators. The black bear is the most common bear in North America, but is relatively rare in tundra regions. Because it has a significant size disadvantage versus grizzlies, it will not share habitat with them. 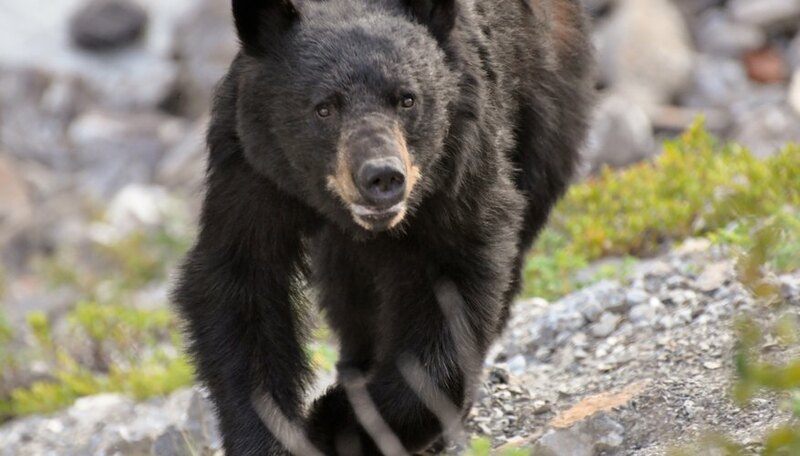 Tundra black bears are limited to northern Labrador in the northeast part of Canada, where grizzlies are absent. The black bear mostly eats plant parts, such as berries, twigs, buds and roots. Insects, honey, small mammals and fish augment its diet. 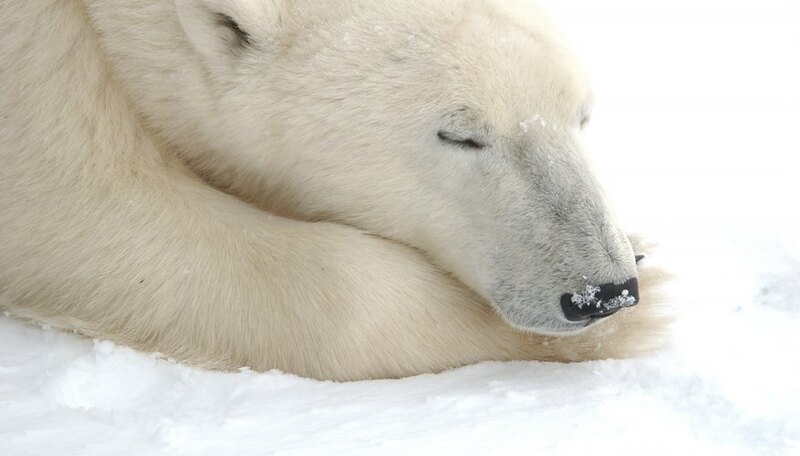 Polar bears spend more time on the arctic ice pack than on the arctic tundra. Female bears have their cubs in tundra snow caves near the ocean, and in the summer polar bears may migrate to the tundra. Their main food is seals. Occasionally, polar bears eat other mammals, eggs and beach-cast carrion. When they venture onto the tundra in the summer, they eat berries and other plants. In the summer, the arctic fox is dark gray to bluish brown. Its fur color changes to white or creamy white in the winter. A major food source for the arctic fox is the lemming. Tundra voles are another staple of its diet. Other foods include birds, eggs, insects and carrion. 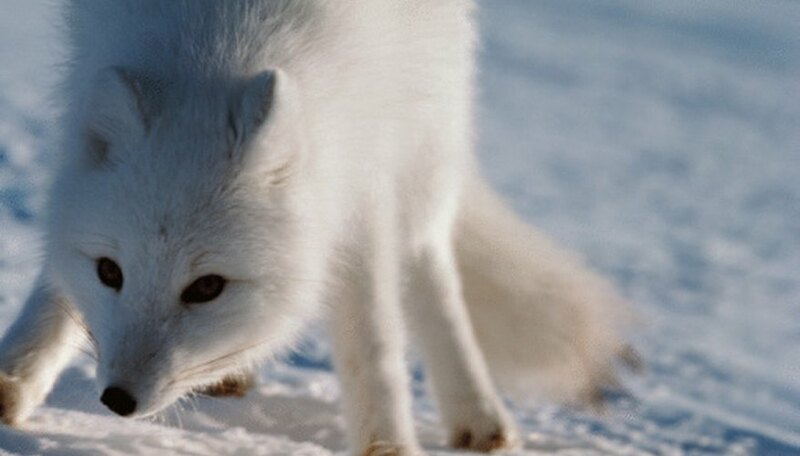 The arctic fox is considered an omnivore since it will feast upon tundra berries if they are available. Rock ptarmigans are birds found in elevated and rocky areas of the tundra. They measure 12 to 16 inches in length. In the winter, males and females shed their brown plumage for a white coat. 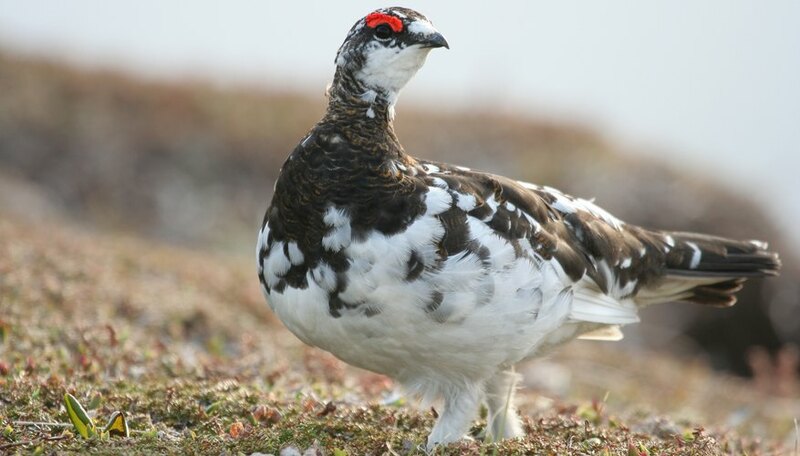 Adult ptarmigan food includes leaves, flowers, berries, twigs and buds. Ptarmigan chicks are also fed insects. This squirrel has stubby legs and strong claws that are adapted for burrowing. 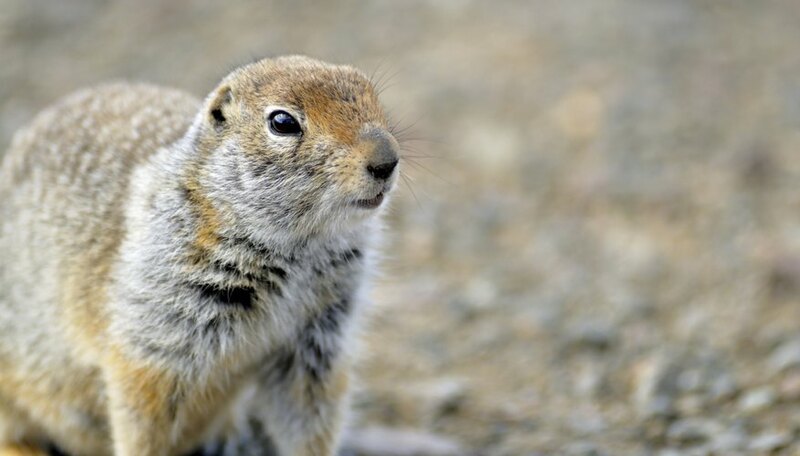 The arctic ground squirrel's gray back includes white coloring for better camouflage. It eats a variety of low-growing plants. It is an opportunistic eater that will also eat freshly killed animals. This vole is a rodentlike animal that has a yellow tinge to its brown fur. It has short ears and a short tail. It makes pathways through tundra vegetation in warm weather and tunnels through snow in winter. 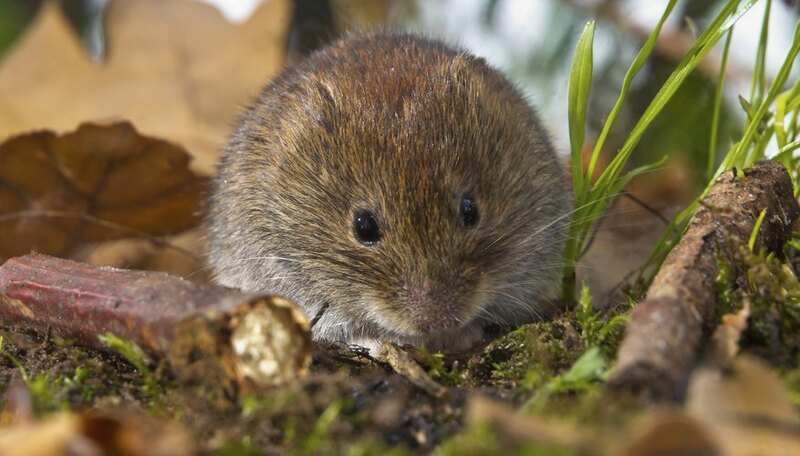 Tundra voles feed on seeds, grain, grasses, bark and insects. Fielder, Dan. "Omnivores That Live in the Tundra." Sciencing, https://sciencing.com/omnivores-live-tundra-8037113.html. 24 April 2017.